The Samsung Galaxy Note is one of the new innovations in the world of gadgets, and brings in the experience of both the Android smartphone and tablet devices together. The Note comes with a large 5.3-inch capacitive touchscreen with a SUPER Amoled screen, and the latest Android operating system for mobiles, i.e. the Gingerbread operating system. The Galaxy Note comes bundled with a list of features that the tech world has never seen before, and the specifications are well enough to call itself a high-end smartphone. Here are the best features of the Galaxy Note which would keep it ahead of the other smartphone around. 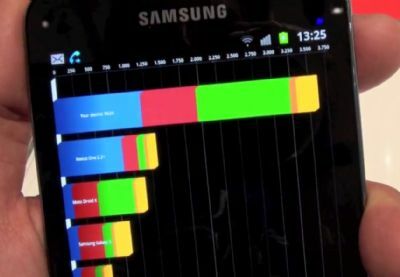 The Galaxy note has a screen size of 5.3-inch, enough larger than any other phone, even the Dell Streak (which used to be called a tablet device by Dell) and has a screen resolution 1280 x 800 pixels, stuffed in the Super AMOLED display to make the viewing best possible for the users with the rich content, which is all seen in an HD quality. The display is of 285 PPI scale and it helps in browsing the web in a better way. Many who incline towards the iPhone 4S and its retina display, do need to keep in mind the screen size, where the Galaxy Note would remove the need of a bigger sized tablet device and serve the purpose of both smartphone and tablet device at the same time. Not only browsing the web, but watching the HD videos, working and viewing the presentations and office files, PDF files etc. is possible and would be well displayed on the large screen of the Galaxy Note. 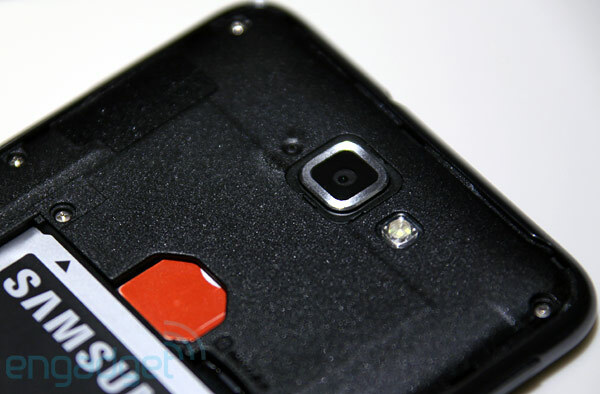 The camera of Samsung mobiles and devices have been an excellence recently, with the camera of the Galaxy SII being an 8 MP, and the same is now seen in the Galaxy Note, with a 8-Megapixel camera with LED flash, capturing pictures with a large resolution, previews of which on the screen of the Note are beautiful and clear. Just from the preview before capturing in that large screen, one can decide what the quality of the final captured picture would be. The LED Flash of the camera is also pretty decent, adding up light to the dark environment while capturing the pictures. Apart from capturing the pictures, the 8MP camera of the Galaxy Note also captures 1080p HD video, and has options to share directly to websites and Youtube. The Galaxy Note has a few features and accessories, that no other Samsung device earlier had. The S Pen comes with a pressure sensitivity, which brings in some different and real experience while you are doing anything using it on the screen of the Galaxy Note. It is a stylus type of pen tip, but the sensitivity that it holds, is quite different from that is seen in the styluses used on resistive touchscreens. The S Pen helps in various functions like drawing pictures, sketches, cutting the pictures and sections from within the web pages etc. The S Memo is a multimedia application given to record all the types of content created by the user. The various captures that are done using the S Pen, are recorded directly to the S Memo where these can be edited, annotated and saved in the form of digital notes. S Planner is another great addition that comes preinstalled in the Note, and it helps in organizing all the scheduled meetings just more than what one could do on the Google Calendar. 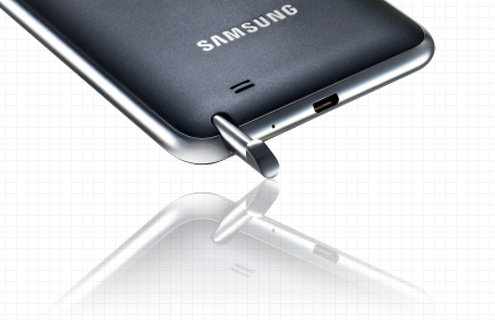 Not just with the size, but the Galaxy Note is internally quite strong. 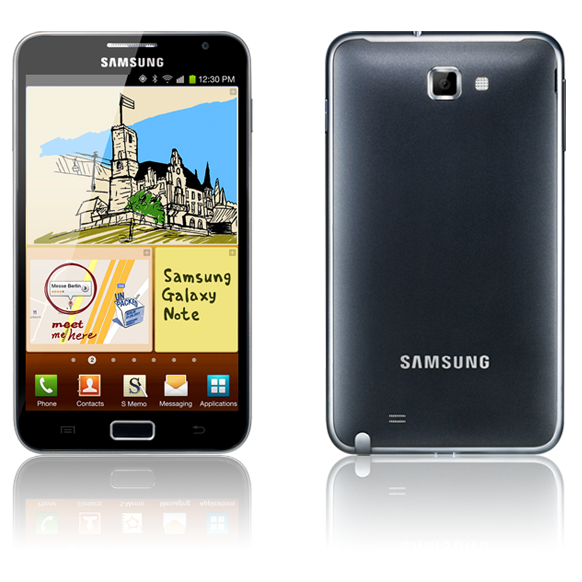 It is powered with the 1.4GHz Dual Core processor, which could support all the standard heavy functioning of the device, such as multitasking, loading and playing the HD content without any glitches, and the connectivity of the Galaxy Note is good enough with the HSPA+ & LTE-enabled connectivity with the available 4G networks. It comes with the Android Gingerbread 2.3 platform. Android as always, has a few features that are better than the iOS, making things a lot more advantageous in the Galaxy Note. Battery – Lasts long, really long! 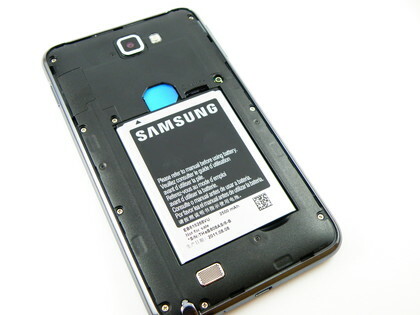 The battery provided in the Galaxy Note is of 2500 mAh, lot higher than the power of the previous Galaxy devices, Galaxy S II (1650 mAh) and the Galaxy S (1500 mAh). With such high power of battery, one can see a lot of usage hours on a single charge, and Samsung claims that could be around 10 hours of continuous usage, competing with the larger tablet devices like the Apple iPad. According to Engadget, the continuous video playing on a loop from a full battery charge, lasted for 9 hours, 36 minutes. With the HD screen on that display, battery lasting for that long, is surely an advantage. There are many other great features of the Galaxy Note, which we would discuss once we review the device Hands-on. I think I'd rather go for a tablet becuz the big screen wud be hectic and that is why the portability is gone.and rest other features are there in other smartphones as well. I am looking for a new tablet and i think maybe this one is the right one.